Civilization is one of those classic series' that most gamers know of at least by reputation. A consistently solid franchise that sits as the crown jewel of the Sid Meier empire (if you'll excuse the pun), the entries in this franchise have regularly met with critical acclaim, and seldom fallen below the threshold of adequacy. Each game in the series has introduced new mechanics, adding more complexity to the game. that is, at least until Civilization V came along and did away with many of the previous titles systems and mechanics in favor of a more streamlined and accessible experience. Some players decried these actions as signs that Firaxis had sold out or been too lazy to make a more complex game. 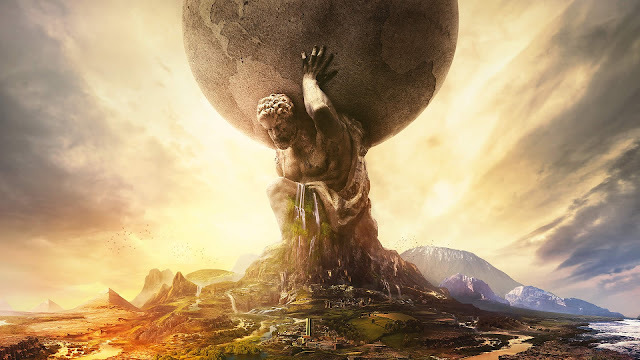 The vast majority of people however, after a few pieces of DLC and a number of iterative patches came to love Civ V and it currently sits as the widely accepted best of the franchise. Civilization VI picks up the torch right where Civ V left it, continuing many of the themes established by its predecessor. The espionage system defined by Civ V's later DLC remains intact, as do large swaths of the game's trade system and religious mechanics. What really distinguishes Civ VI isn't the similarities it bears to previous games. 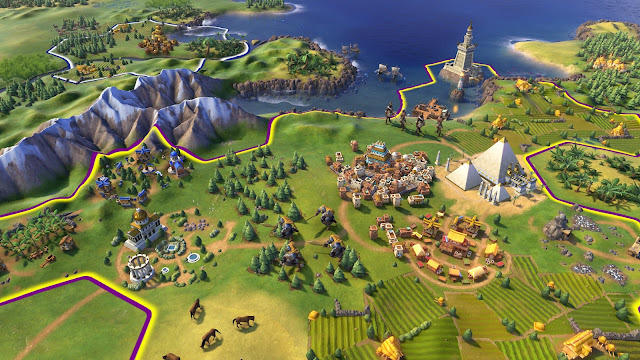 In the places that it innovates, Civ VI manages to accomplish a spectacular feat; it has added depth and complexity while preserving accessibility. I'm sure you've heard about some of the larger changes to gameplay in Civilization VI, but we'll cover a few notable ones. First, the system whereby buildings were incorporated within the city has been done away with. Those buildings still exist but must be built in specialized districts. These districts take up a tile space and earn particular bonuses based on their placement and the other districts or geographical features adjacent to them. If this seems like we're already talking about a lot of extra complexity, we are, but there are a few systems we'll talk about later that help make sense out of these things. But why on earth would the developers think the players would want to use up tile space around their cities to build structures that used to fit neatly within their city? Because we griped about being bored. 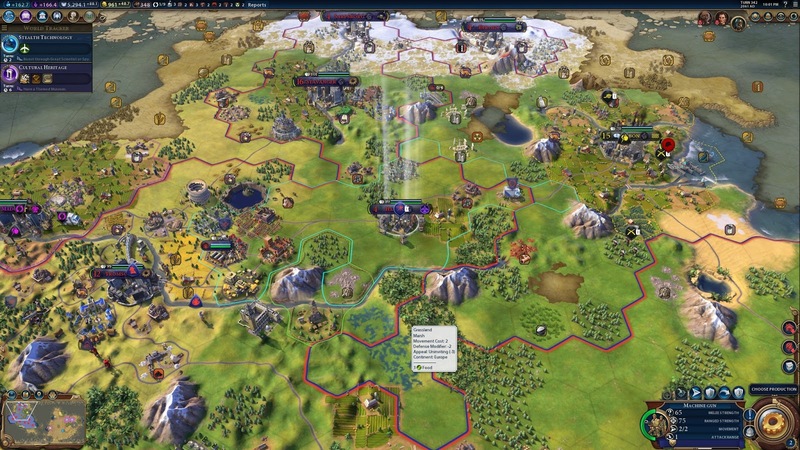 The early stages of Civilization V were fairly exciting; placing those first few cities, getting the basic tech researched, exploring the map, fighting barbarians, meeting the other civilizations. All this happens within the space of the first 50 turns or so. After that, things start to slow down. As the players get into the medieval and renaissance eras, wars become less common as both players likely have more to lose. Military units are researched and a few are likely trained, but combat drops sharply around the mid game. This mid game lull is also where we see far less player engagement within the cities and in dealing with improvements. By this point in an average Civ V game, most players have their endgame goals in mind. Everything at this stage is just about getting to the later goals. Most players workers are on autopilot at this point, running around the map building farms and plantations. The most players usually end up doing in the mid game is arranging a few trade deals and ordering a few roads. Most everything else is a rote strategy that gets them closer to their end game. By forcing the players to actively consider the layout of their individual cities, Civ VI keeps the game's action on a more even keel. It's no wonder then that so many of the extra districts become available from the Classical through the Industrial eras. The district mechanics liven up the otherwise mundane tasks of building structures to support your empire, and it does a lot to deepen the overall strategic depth of the game. It's no longer enough to place a city close to a bunch of valuable resources, you'd better be sure there is enough good farmland nearby to sustain the population. Each individual city begins to take on its own specialties based on its location and access to resources, rather than each city only really being delineated by what wonders you can build there or whether or not its on a coastal tile. But what does that do to the workers though? If they're still busily running hither and thither building improvements, how do you prevent them from plopping a farm or mine down where you were planning to put your Campus district? Well, the Workers as you understood them are long gone. In their place are Builders and their abilities are built around working with the new district mechanics. Whereas the Worker unit would improve tiles over multiple turns, builders are able to complete improvements in one turn. The flip side of this is that Builder can only build three improvements before the unit is exhausted. On top of that, the Builder cannot be automated, creating more bits for the player to manage directly throughout the game. This change is probably the one I've heard griped about the most. Some people just don't seem happy to be actively in charge of managing their own improvements. I find the new builder system to be engaging, and I think its inclusion helps round out the dynamics of district placement. Once you learn how the bonuses work, I think you'll miss the old ways less and less. In the next installment of our Civilization VI series, we'll discuss the elements put in place to help players make sense of the new district and improvement systems and how they make everything much easier to understand.